Media is playing great role in every society. It plays important role in setting agendas of public. We all are bombarded with so much information all the day. Electronic media, print media and social media are some common types of media. Print media is the oldest media in this history. In Pakistan, media is working freely and independently. In case of electronic media there are a number of channels are working including news, sports and entertainment channels. It is the responsibility of media to highlight those issues which are good for the public and discourage unethical factors of the society. Sometimes media besides spreading the root causes of any issue, contributes to multiply wordings over some issue and crises. Media should be very sensitive while presenting its country towards the world. Our media tells the world what exactly we are, what are our norms, values and culture. Being an Islamic country, our media should represent us in a good way towards the world. Media enhance the knowledge of public and communicates all the happenings to the public. Media industry of Pakistan is growing fast with much potential and seemingly bright future ahead. Media should not use negative tools to increase their viewership. Role of media in Pakistan is getting quite irresponsible; as there are so many talk shows and political debates on the screen all the time and sometimes they seems to be crossing their limits. Media should work in its limits and according to some rules and regulations. Besides spreading exaggeration, Pakistani media should resolve the matters with positive attitude. Media is supposed to be responsible for the present society, trends, norms, values and so on. People are what they see, around them. Media reflects the society and it is the responsibility of media to expose the country to the whole world. 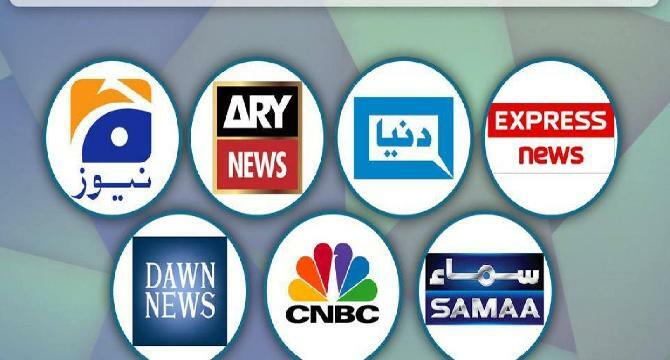 Role of media in Pakistan cannot be neglected; Pakistani media relates dramas, movies, sports, news and entertainment and so many features to the people. Its dramas reflect society and happenings and issues in the society not only to the people of Pakistan but also to the whole world, news channels alarm the people about all the current happenings, within and outside the country. Media has played very important role in reshaping, and changing the people in Pakistan. It has revealed the facts to the people about crimes and social issues and also informed the people about the issues outside their country and most importantly, media has shown the behavior of other countries to the Pakistan, The media mainly television has become the main storytelling vehicle and the journalists have become the key players in legend making and identity building. Professional journalists are responsible to create a sense of belonging and to encourage the youth of Pakistan to behave like a responsible Pakistani. Somehow media, on the name of freedom of press, is completely going in a new direction. There is a great competition among the channels and it has gone to fierce conditions, that they have starting to use negative tools, too increase their viewership. Media has been thinking to be a positive and sophisticated tool to talk about image building. When something comes about the national interests, it is the responsibility of media to handle the situations and prosperity of the country. Media is considered to be a watchdog in a democratic country. No doubt media is doing fine work with positive approach towards the people and society. It’s the requirement of time that our media should work for the positive and real soft image of Pakistan.